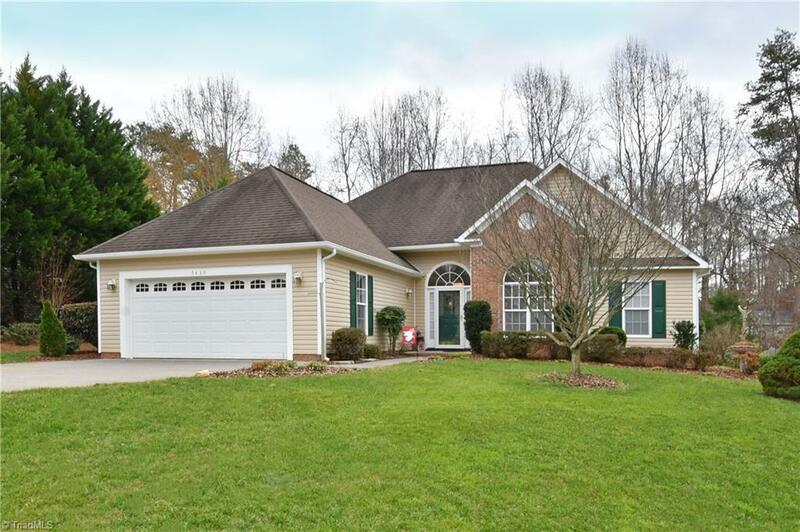 7430 Shadowridge Drive, Lewisville, NC.| MLS# 911978 | North Carolina Farm and Vineyard Specialist Patria Properties Inc.
Don't miss this well maintained 1 level home in convenient Wellesley Place. This home is situated in a cul-de-sac with a beautiful, private backyard. Split bedroom plan features open foyer, formal dining room, kitchen with granite countertops and tile backsplash, breakfast nook and bright, cozy sunroom that overlooks large patio and backyard. Seller paid warranty and transferable termite bond.